As the premiere tapper of his generation, Tony-award winner Savion Glover brings his latest project STePz to Chicago in a one-night engagement at the Harris Theater for Music and Dance Jan. 24. Glover is one of few modern day tap dancers to break into the mainstream; with credits like Bring in ’da Noise, Bring in ’da Funk and Happy Feet, he joins Gregory Hines and Sammie Davis Jr. as one of few elite American contemporary tappers. Plus, he is super cool. Glover’s STePz features an eclectic song list spanning classical, jazz, and pop genres. In addition to Glover, the performance features tap dancer Marshall Davis, Jr. and 3CW (3 Controversial Women): Ayodele Casel, Robyn Watson, and Sarah Savellhas. “Glover & Friends” perform a special set the following afternoon as a part of the Harris Theater’s Family Series, an hour-long event geared toward families with children under 10. Here’s a sneak peek of STePz! 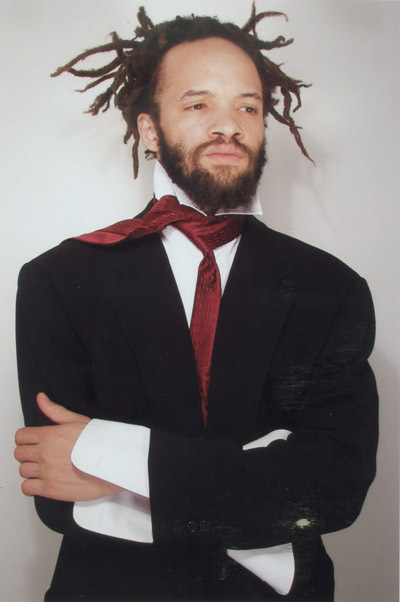 Savion Glover’s STePz takes place Friday, Jan. 24, 7:30 pm at the Harris Theater for Music and Dance (205 E. Randolph St). Tickets are $30 – $55, available online at harristheaterchicago.org, or by calling the Box Office at 312-334-7777. ­­ The Harris Theater Family Series performance takes place at 2:00pm on Jan. 25; tickets are $10 – $15.